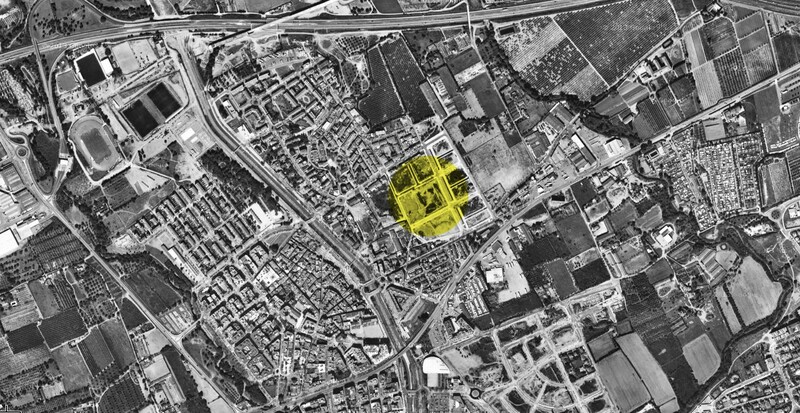 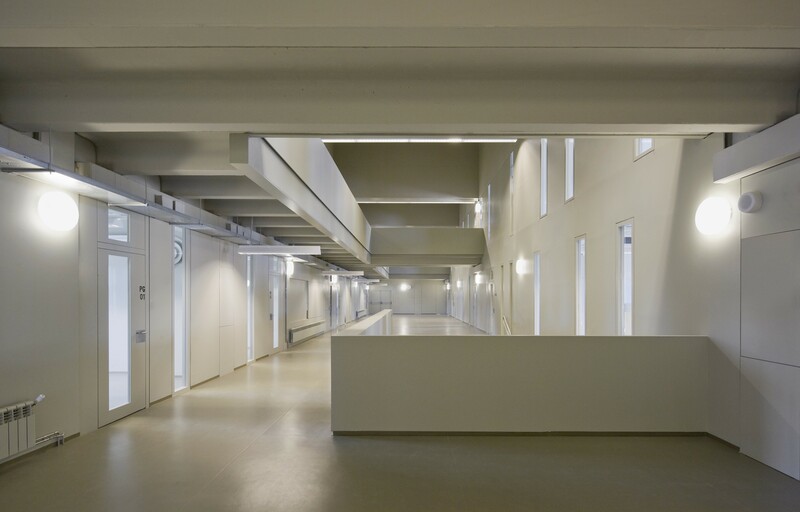 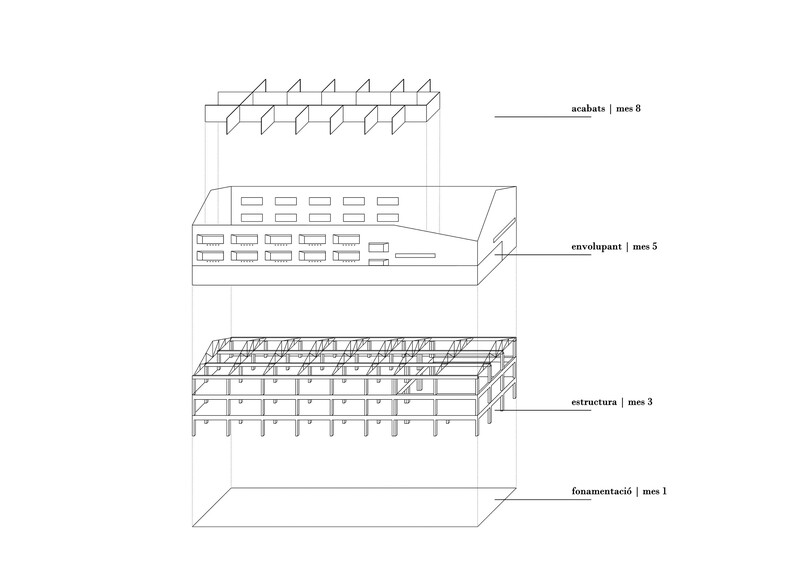 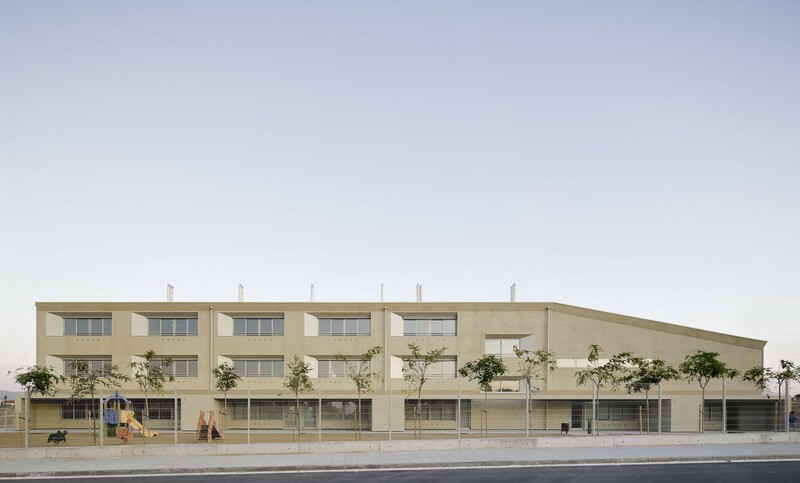 The building explores the limits of industrialization in order to fulfill economy and simplicity requirements. 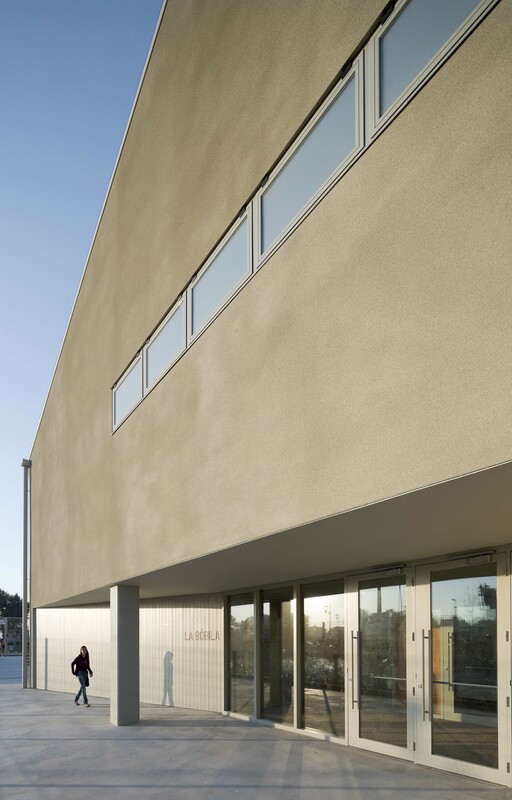 Using a precast concrete structure and an industrialized modular system for the envelope the works costs result cut down. 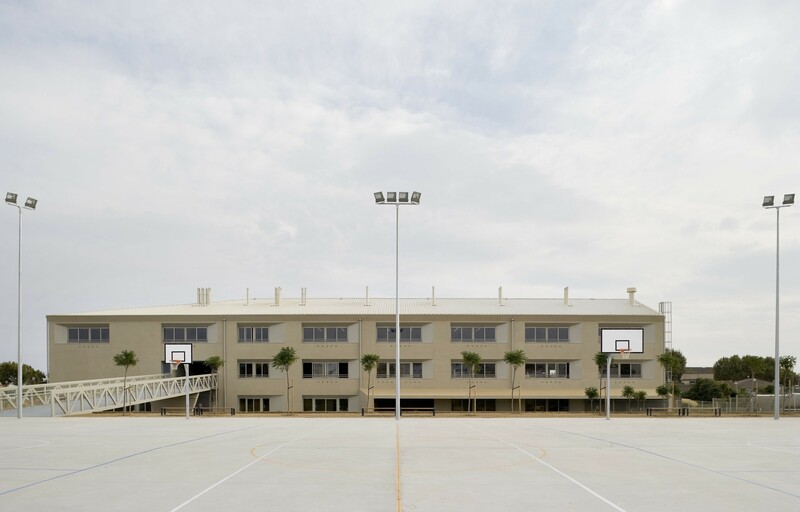 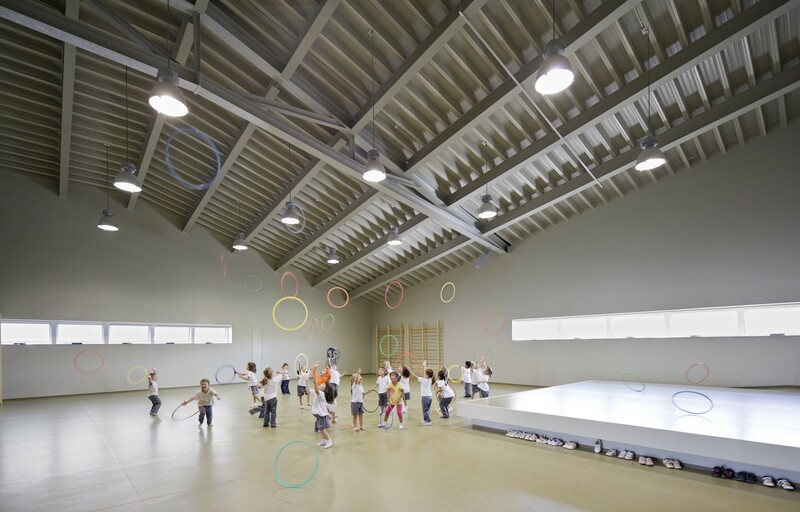 In addition, integrating the sports hall to the building´s first floor, though retaining a direct access to the schoolyard, contributes to achieve a compact layout. 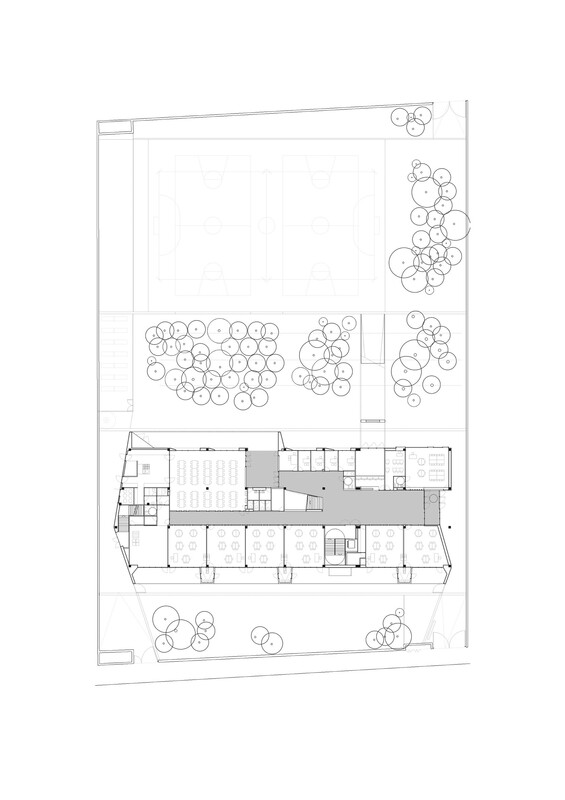 This decision allowed to minimize the building footprint hence, reducing costs on foundations and envelope. 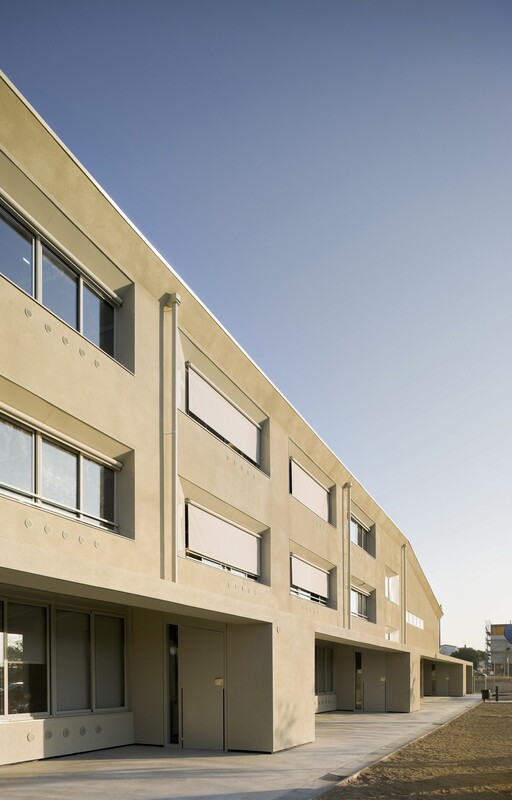 Other construction details aiming for simplicity include an external envelope made of light weight modular panels lined with insulating material and plastered, zinc composite panel roofing and a window solution based on repetition and dimensioned according to the minimum requirements. 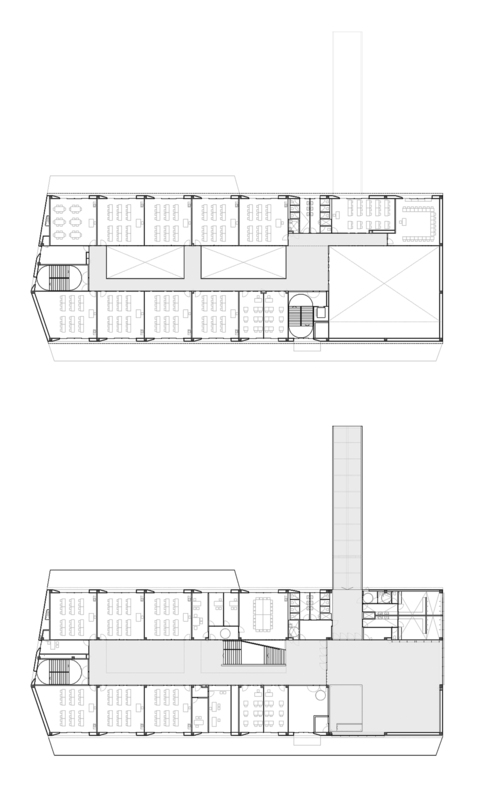 Regarding the brief, the core space to the project is the central hall, an indoors multi-level space with interchangeable uses. 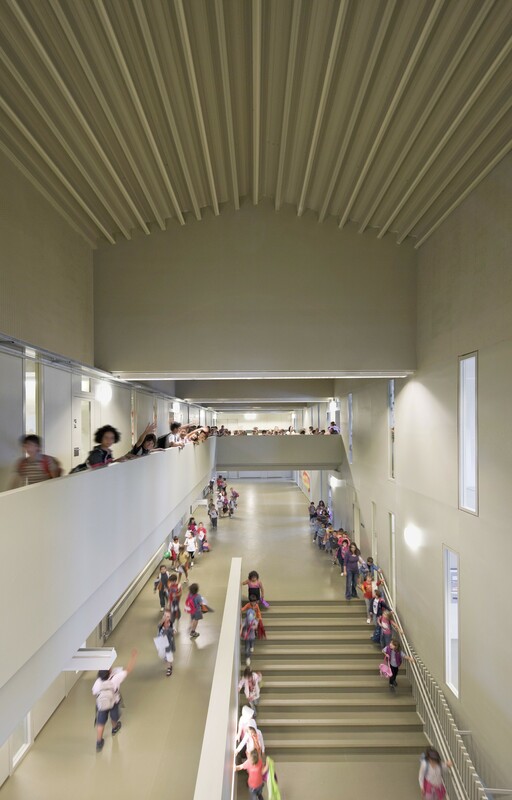 Heart and soul of the school, this is a working area, an exhibition space, a social zone and the connection point to all the classrooms. 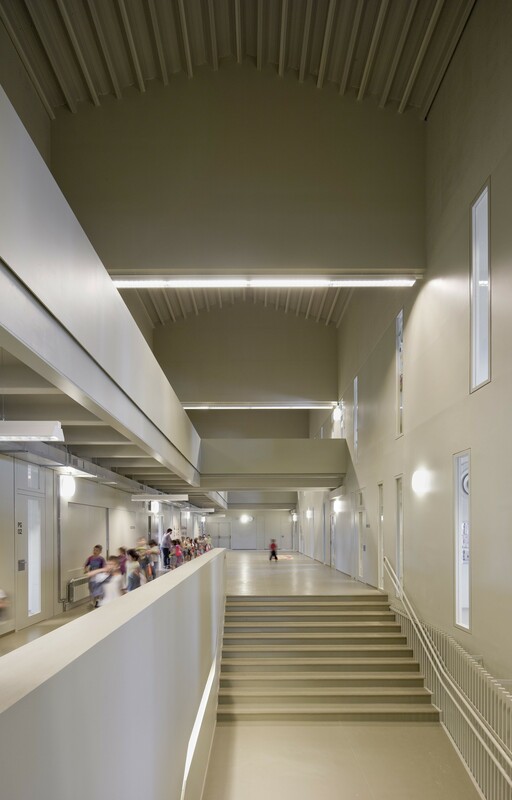 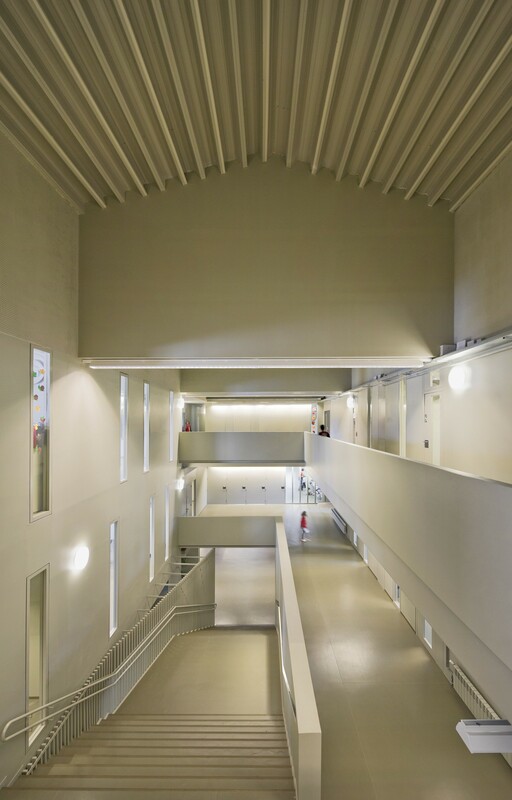 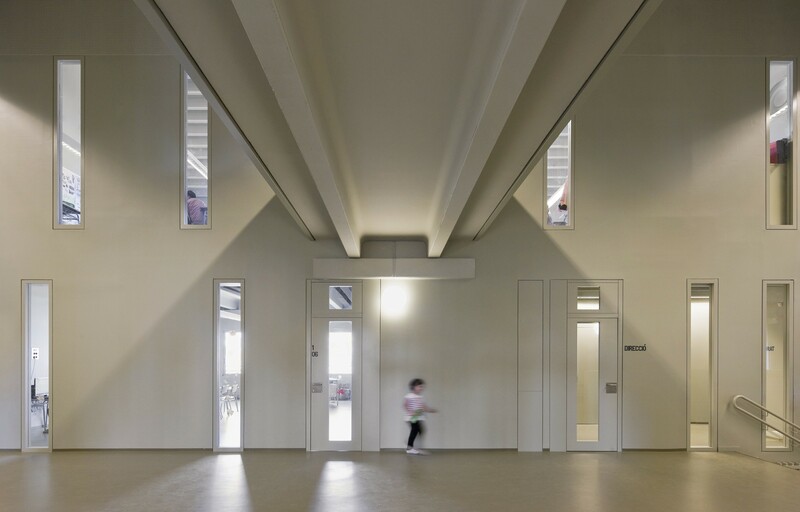 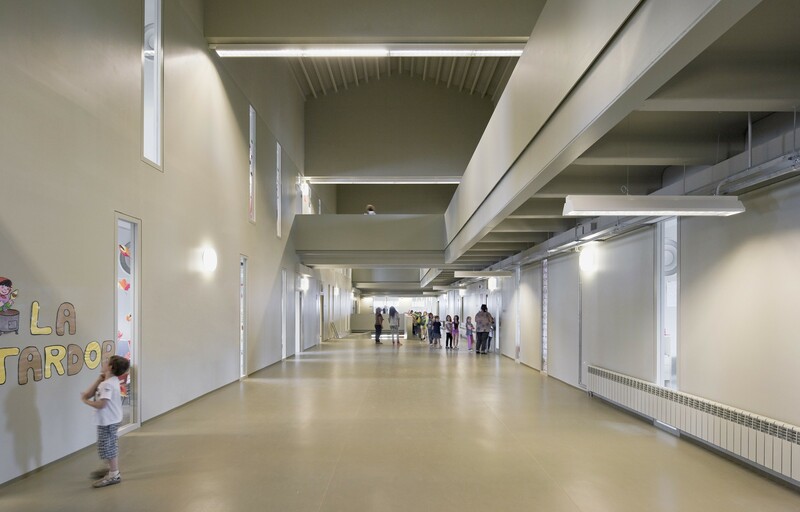 Finally, the school unifies and dignifies the simplicity and diversity of the construction details and materials chosen extensively using one paint colour. 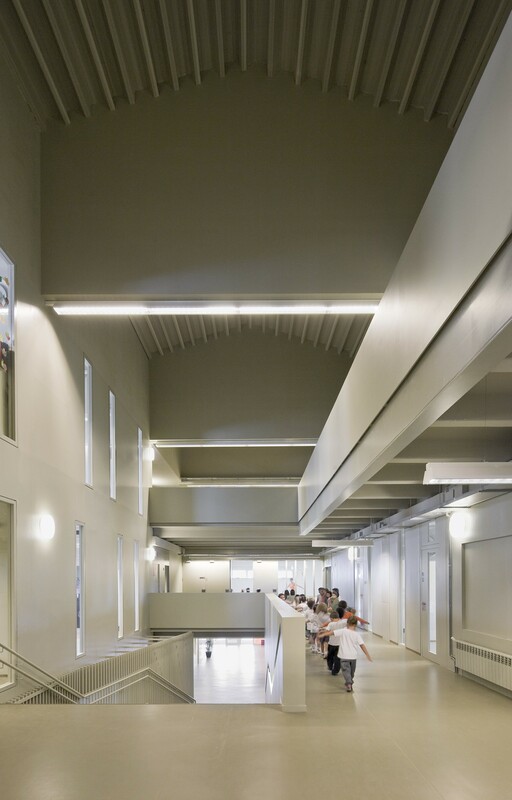 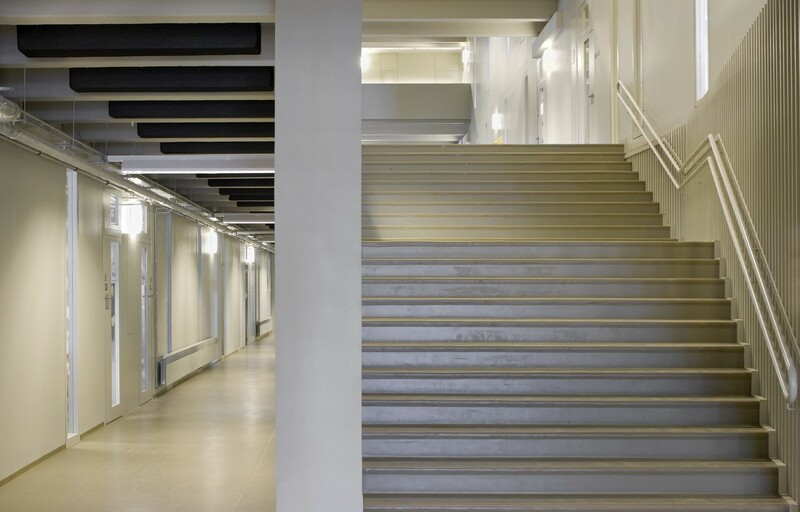 This chromatic uniformity confers character and personality to the building.